EVA Seeds Missing Feminized is a crossing of a known variety of the family blue and our High Level. EVA Seeds Missing homogeneity does not arrive to 100 % because her component blue, though the result has been spectacular. It is a plant with a similar structure like the mother, but with robust stem, with big and rather hard bud, with incredible quantity of brilliant and sticky resin. Missing Feminized has a powerful effect predominantly from the mother, with indical parent souvenirs. 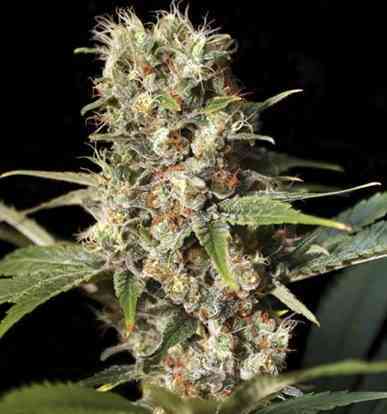 Her cannabis seeds produce a high yield and can be harvested outdoors in early/mid October. Missing takes between 53 - 60 days to flower. Her flavour is exquisitely fruity, with a touch between orange and peach, very special. EVA Seeds Missing Feminized is a delight for the palate. Shape: elongated, specially during flowering. Buds in long colas.